Exciting stuff! 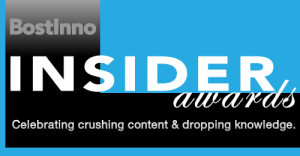 The Boston Brunchers have just been nominated for an Insider Awardfrom Boston Innovation! We were nominated in the category of Lifestyle/City events. Now, many of you know that the Boston Brunchers is my baby. For about a year and a half, it has been my creative outlet and my passion. And now I am at the stage where I am trying to make Boston Brunchers even more than that. So, fair readers (I’ve always wanted to say that), this is my plea to you to please take a minute to visit the voting page and cast your vote for the Boston Brunchers in the Lifestyle/ City category. You have until February 15th to vote, but you might as well get it out of the way today! Once you vote, leave me a little comment here. I think we may have to give away a prize after this one is over…. This entry was posted in Random and tagged award, blog, boston, boston blog, Boston Brunchers, boston innovation, innovation, nominee by reneeh. Bookmark the permalink. i already cast my vote! good luck! Your the best! Thanks Beth! just voted! 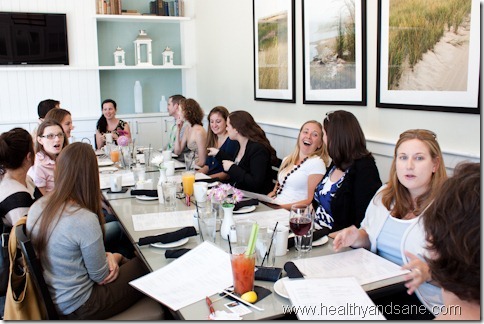 good luck… hope to brunch with you all one of these times! Thanks Dave! Here’s hoping you get to a brunch soon! Comgrats, Renee! You got my vote! Thanks Emily! Hope to see you soon! Of course 🙂 Thanks Lara! I voted after I saw your tweet! Good luck! Thanks Anthea! I hope you can make it to another event soon! Can we vote more than once?? I love your enthusiasm Amanda! Thanks for the vote!